I love originality and this one definitely takes the cake. 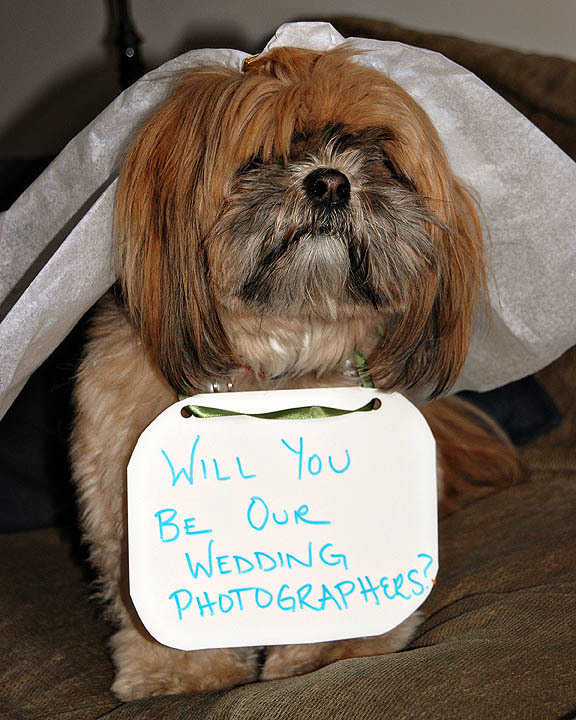 99% of clients that book us as their wedding photographer ususally give us a call or send us an email. Well this email came with a great picture of their dog and we gladly said YES!! Corey and Geoff are getting married at the Country Club in Brookline and hopefully lil Hops can be there to celebrate as well...given the fact that she was the one who gave us the stamp of approval! that is so cute!! I love it when clients are that creative.